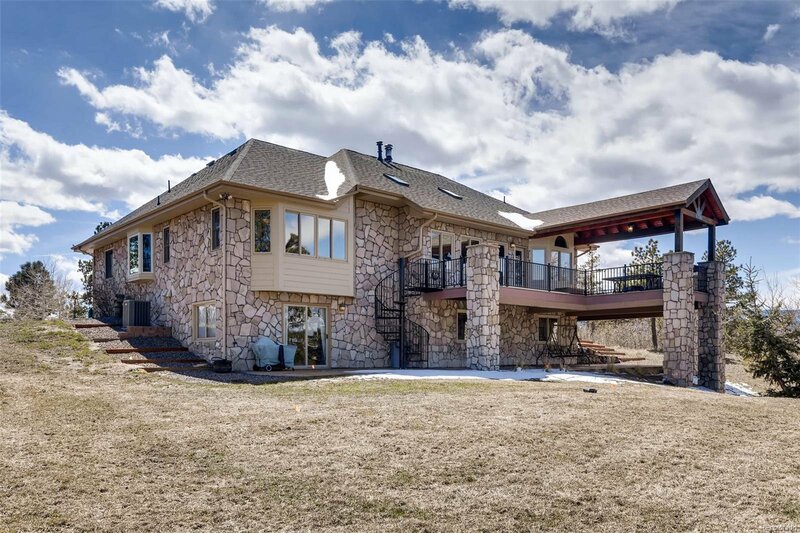 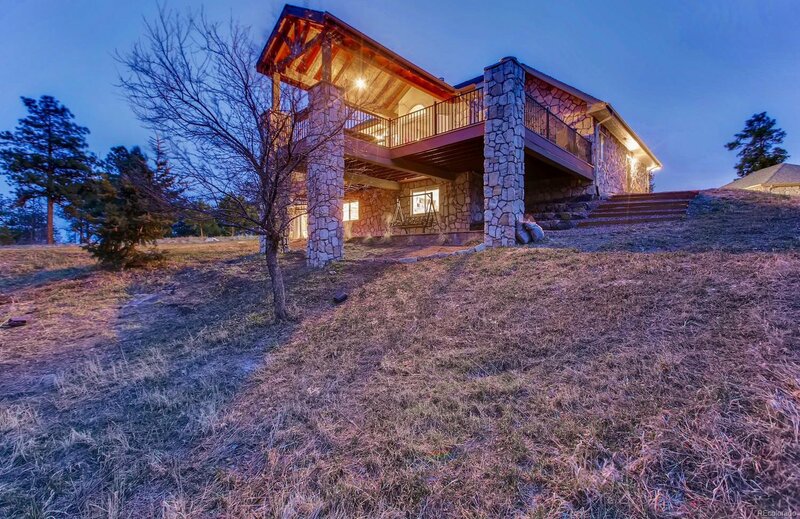 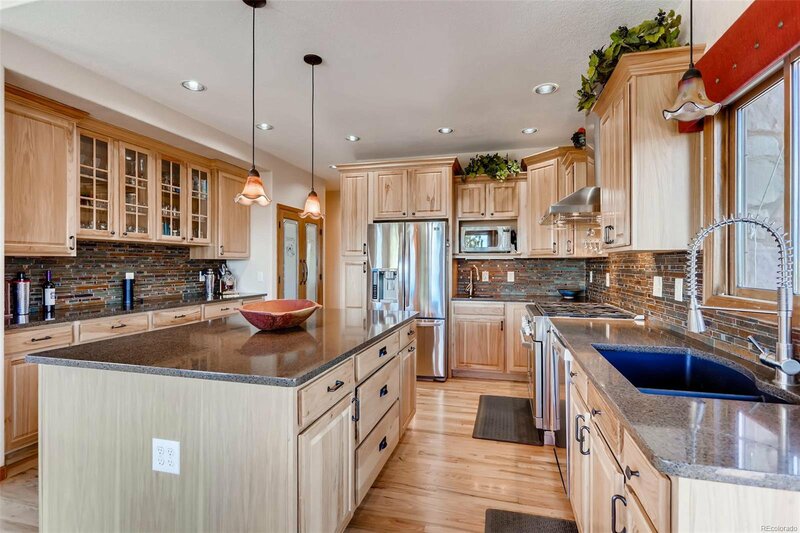 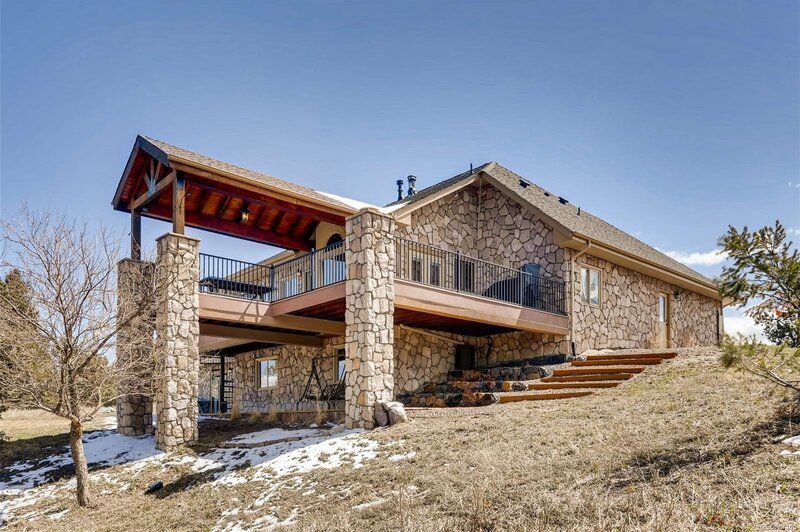 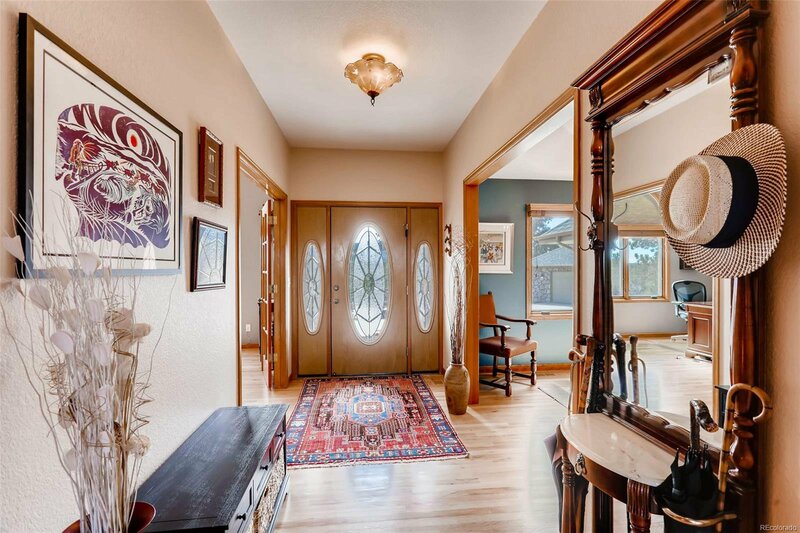 Welcome to this beautiful home in Perry Park East on over 5 Acres of private land. 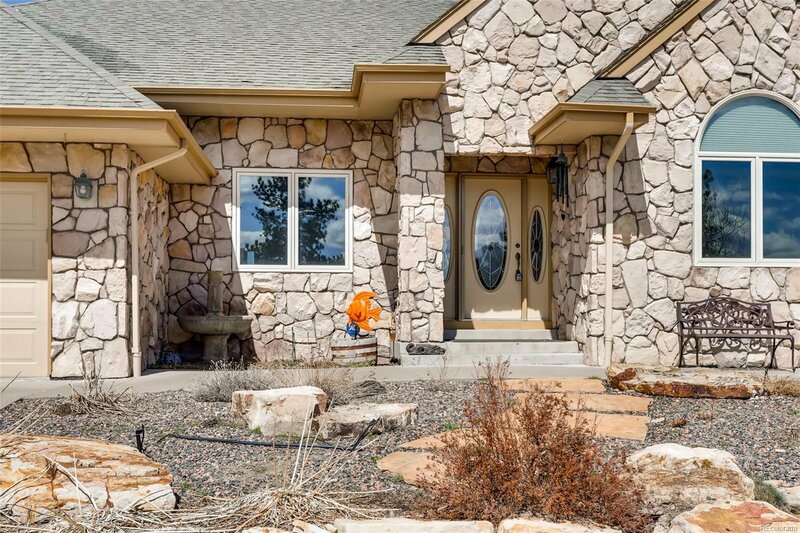 From the moment you pull up the drive, you'll know that this property is special. 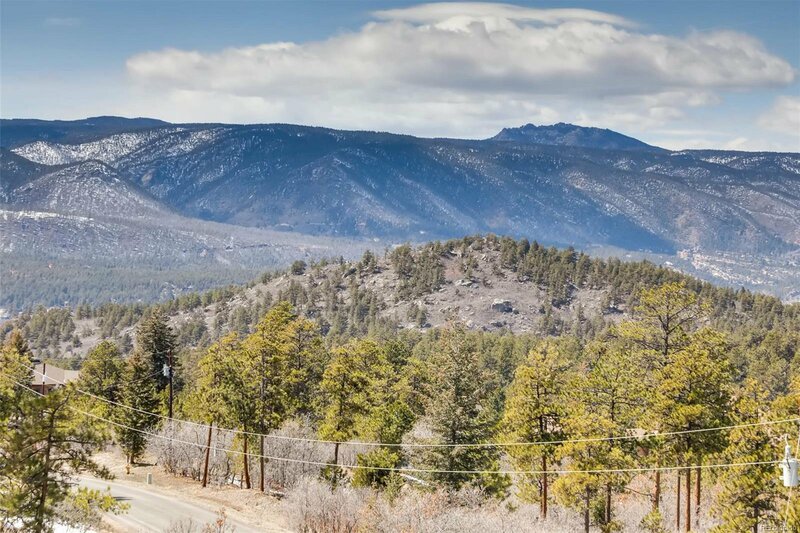 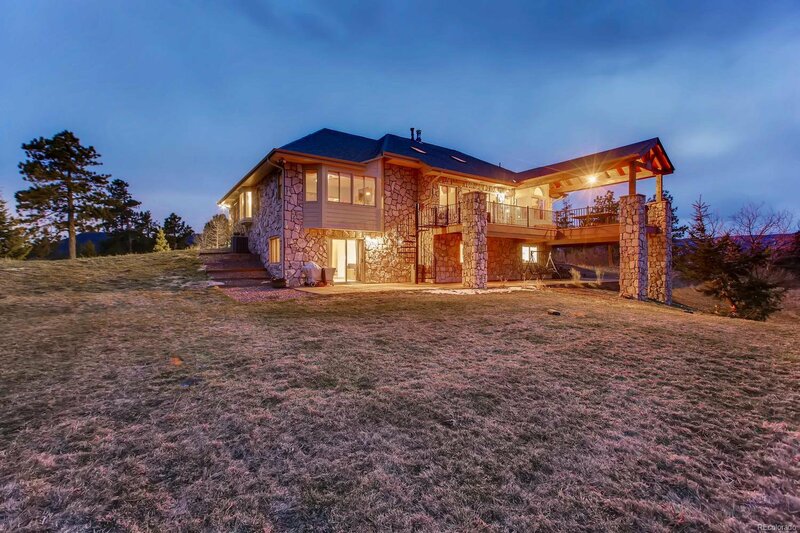 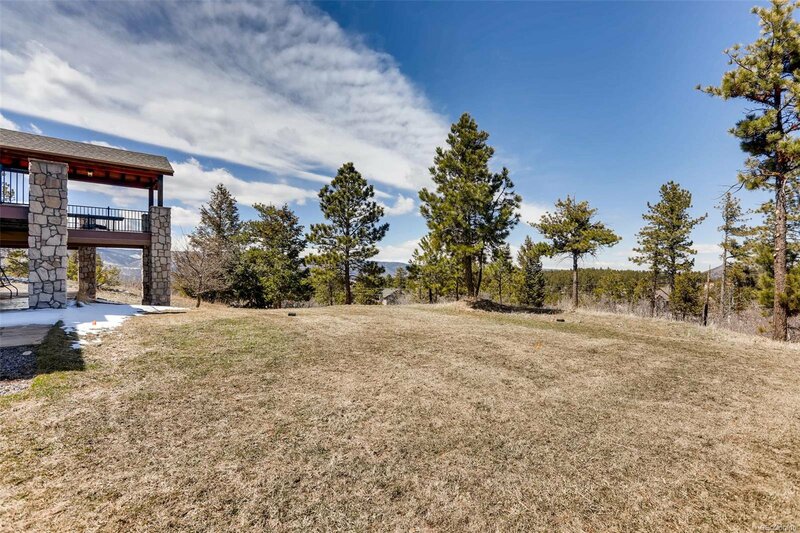 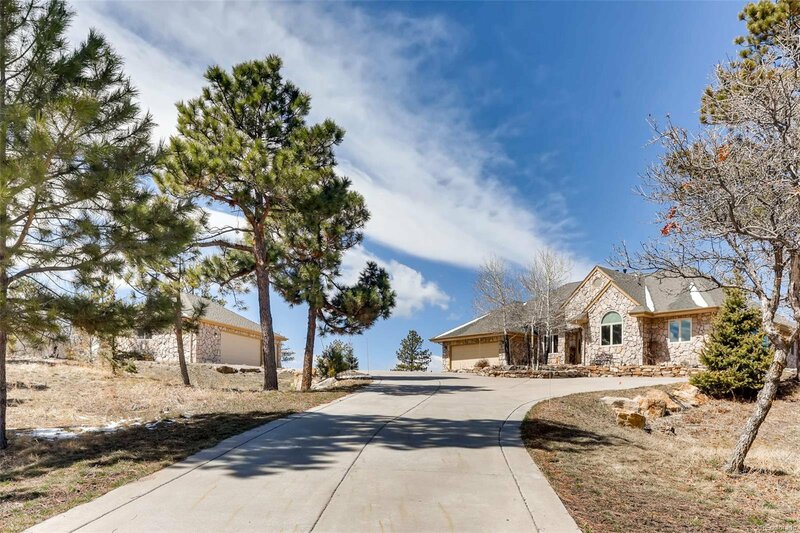 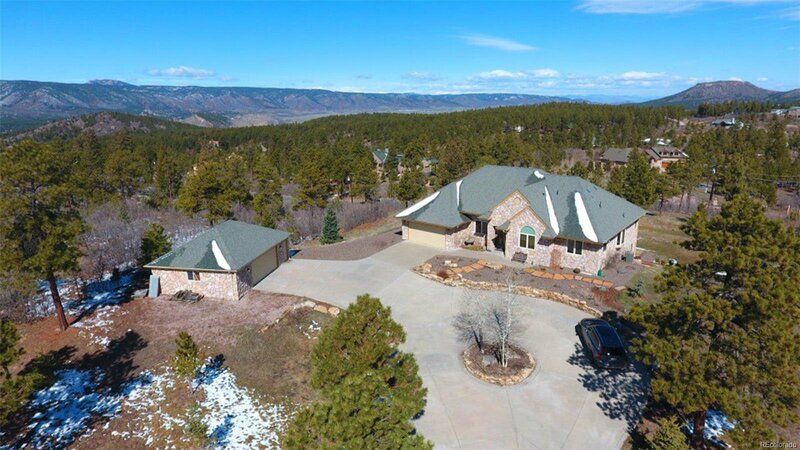 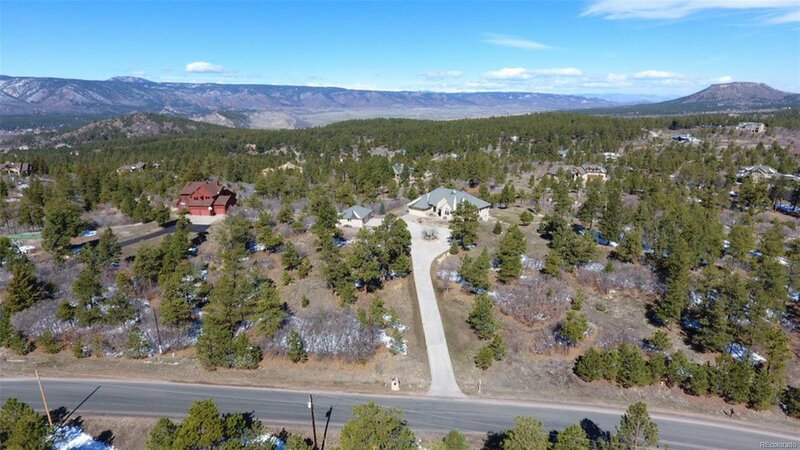 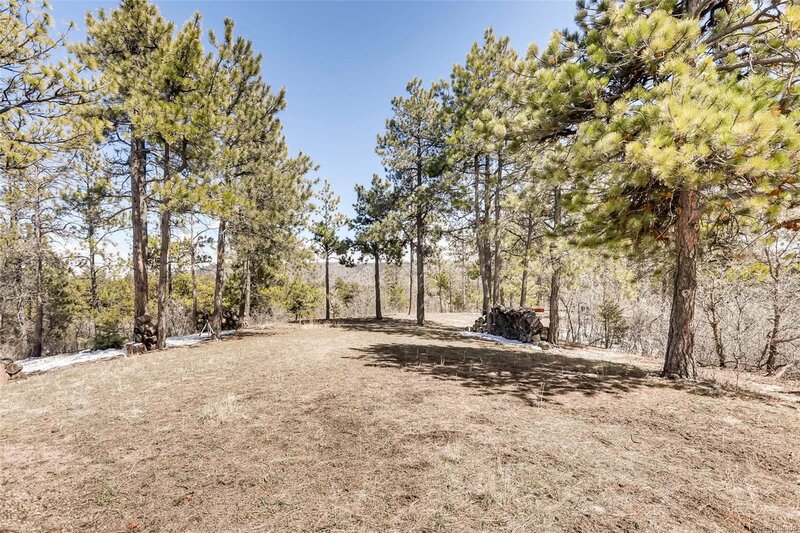 The home is situated on one of the highest lots available in the community providing it with breathtaking views of the surrounding area. 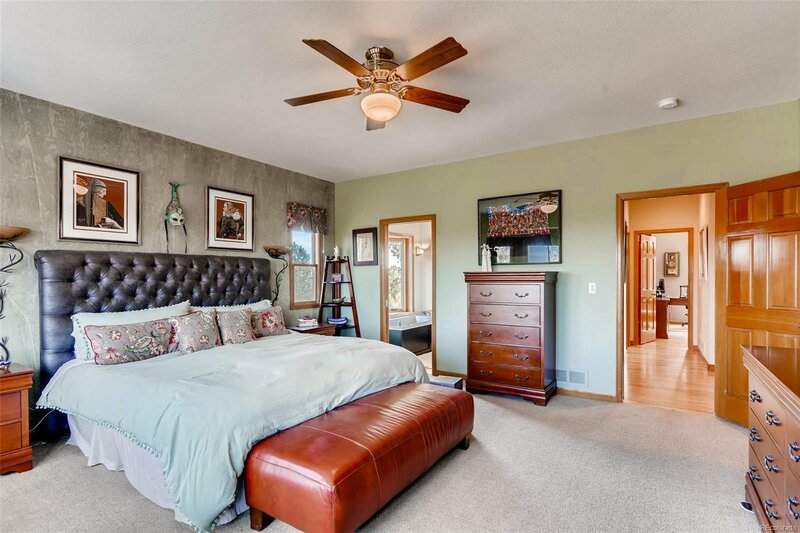 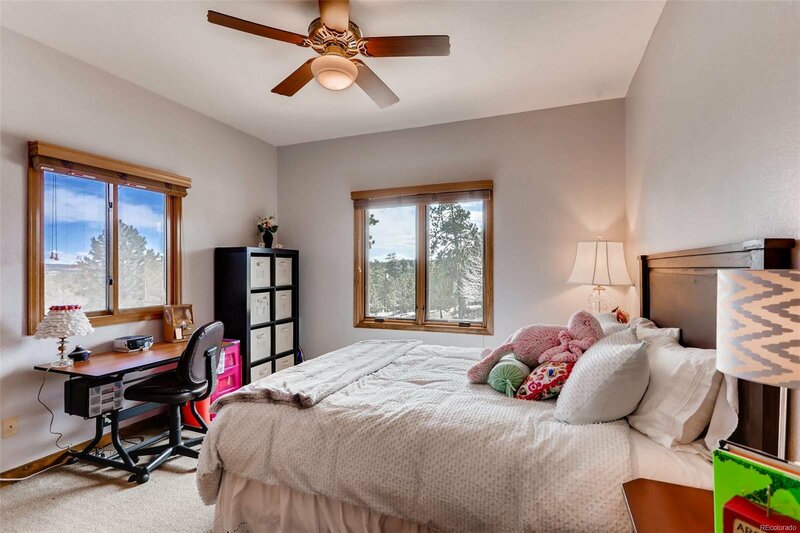 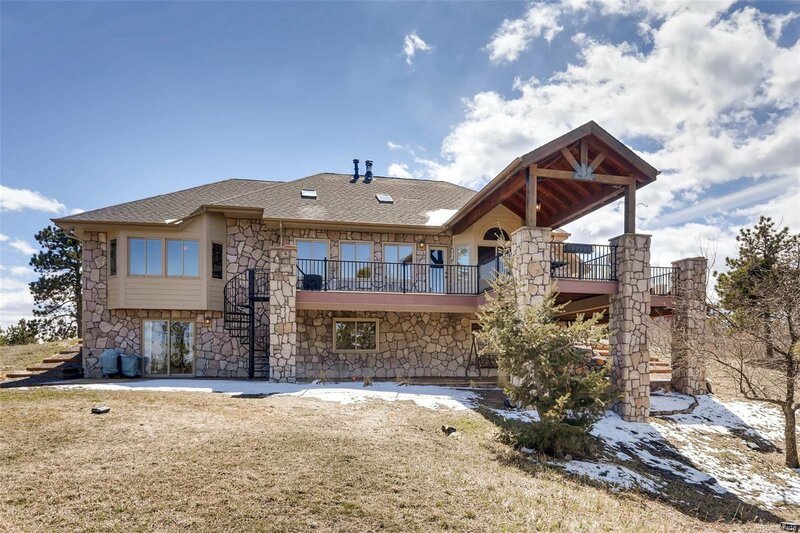 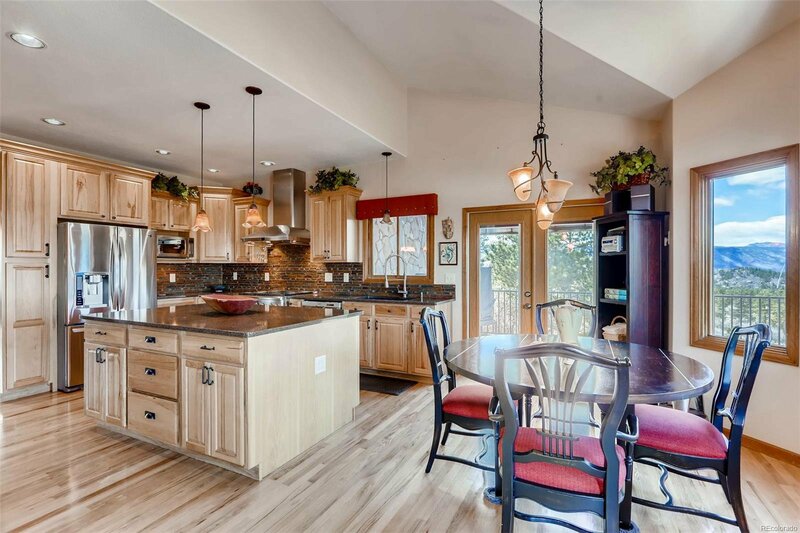 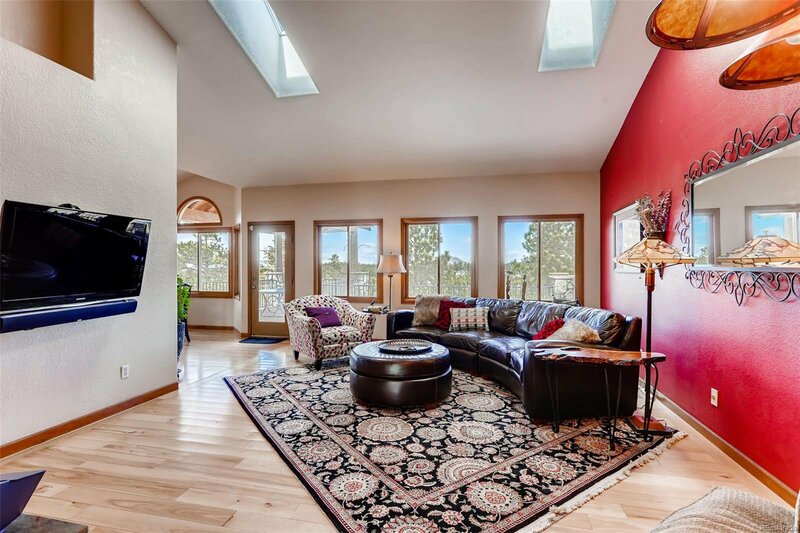 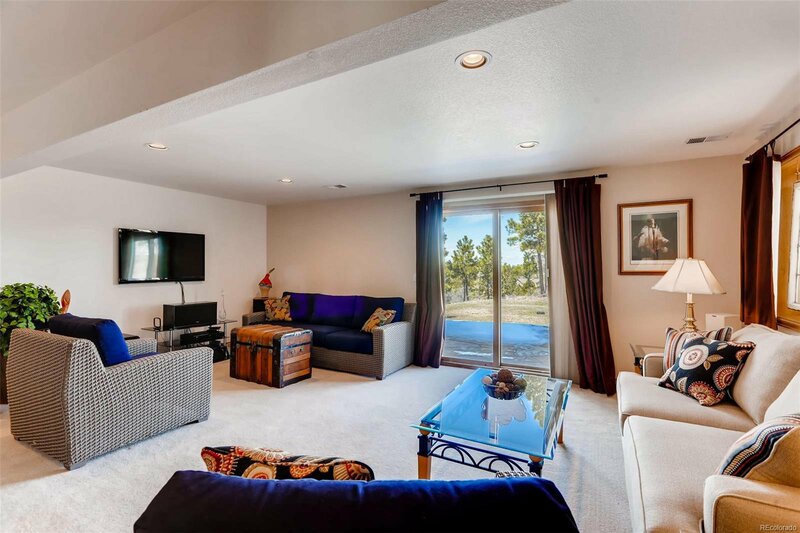 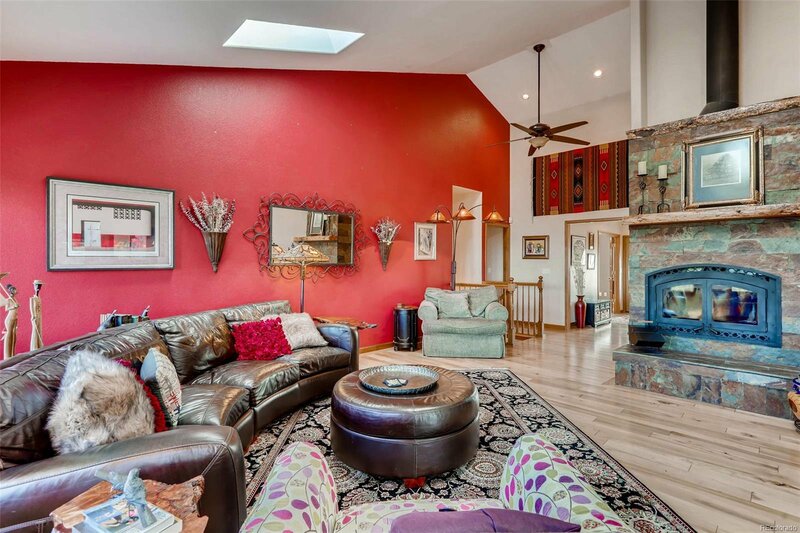 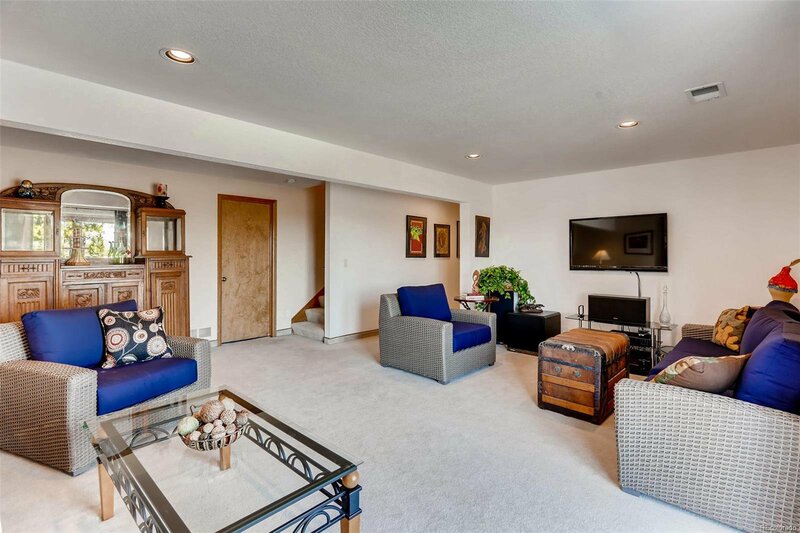 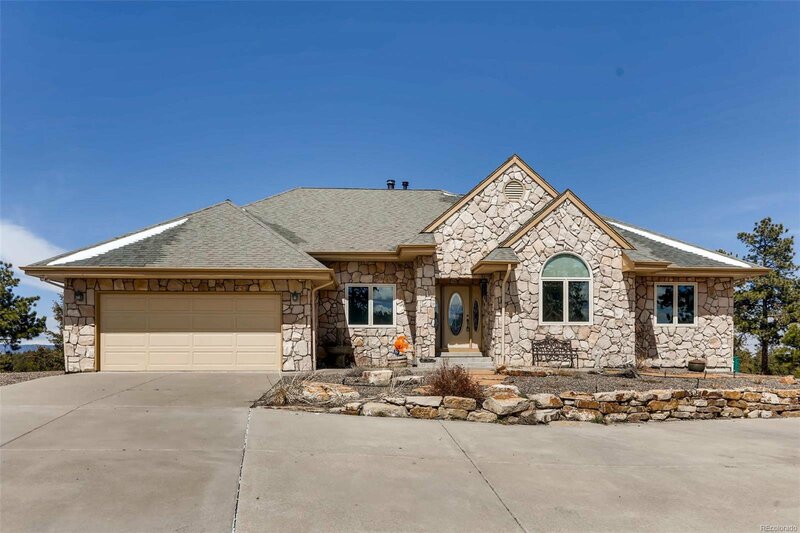 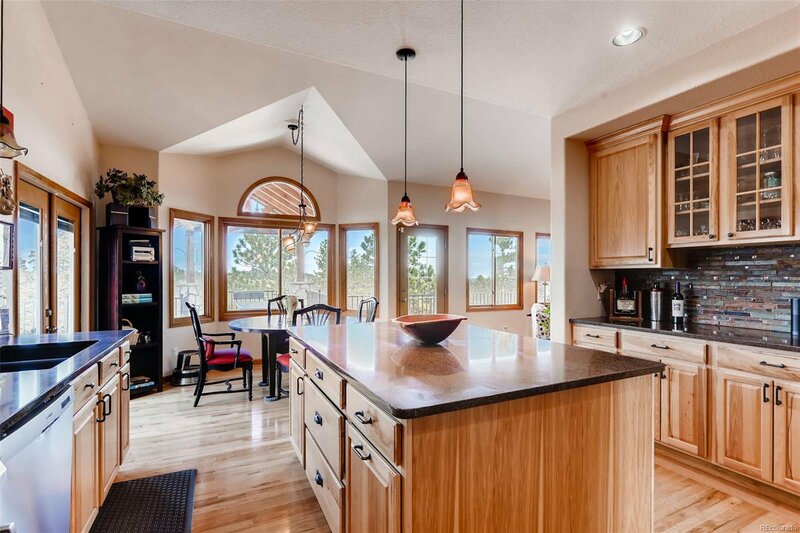 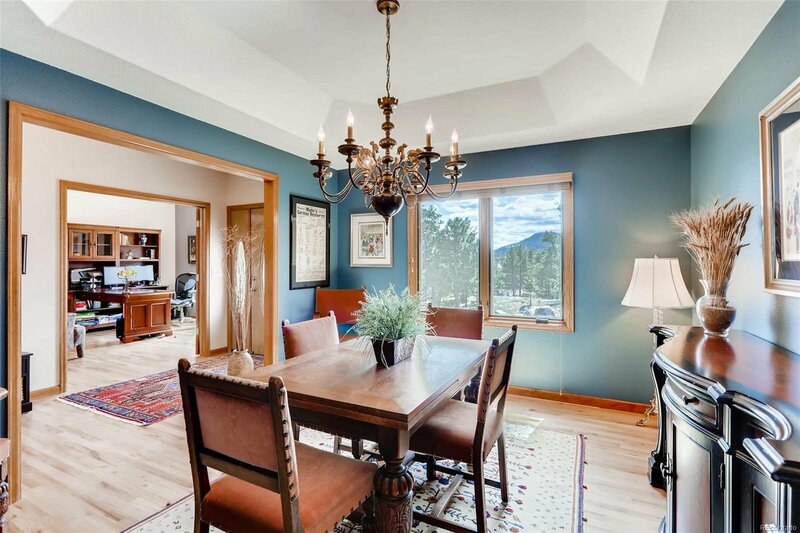 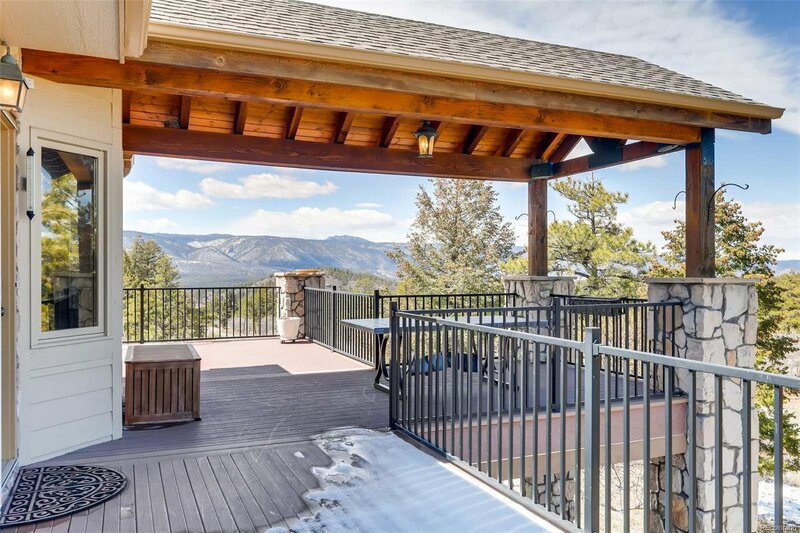 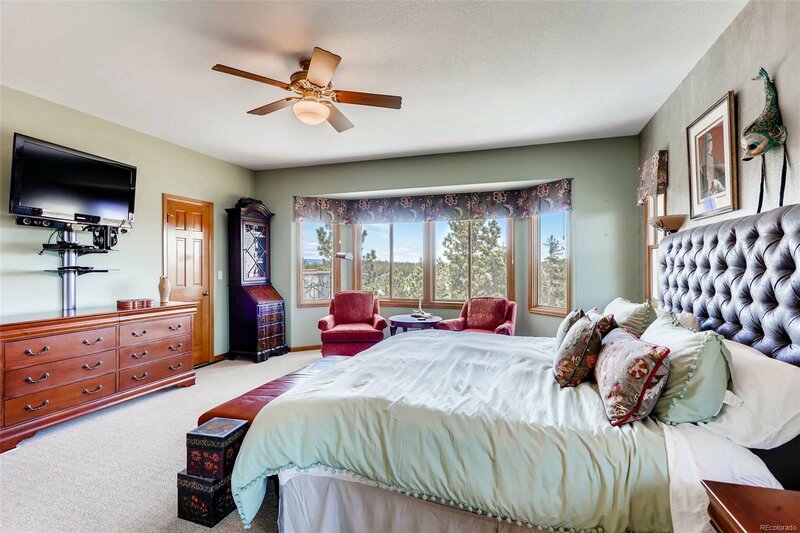 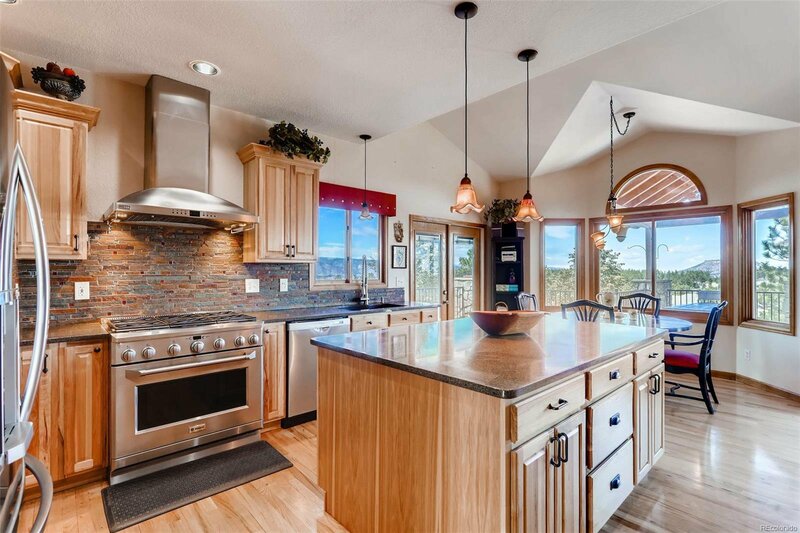 You'll fall in love with the big open floor plan, vaulted ceilings, and views from almost every room. 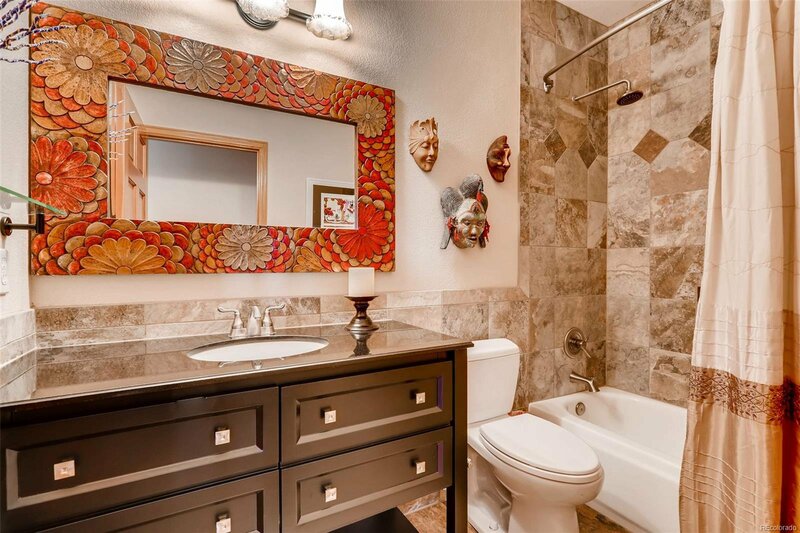 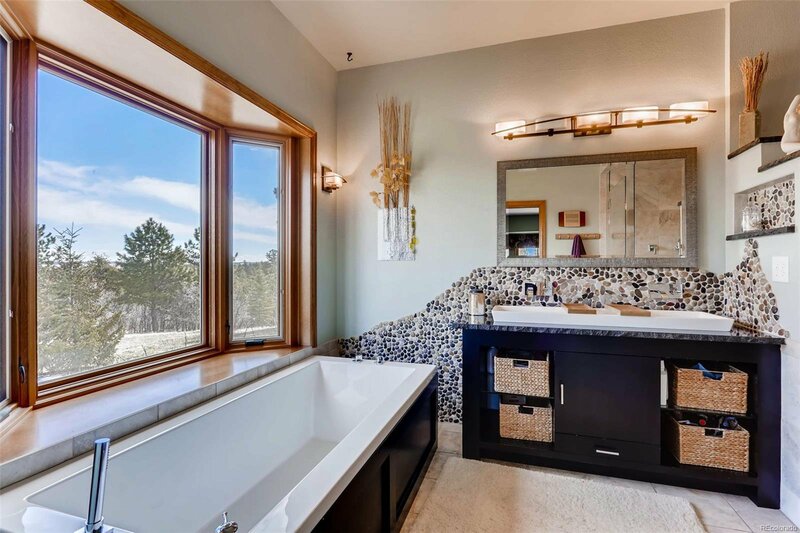 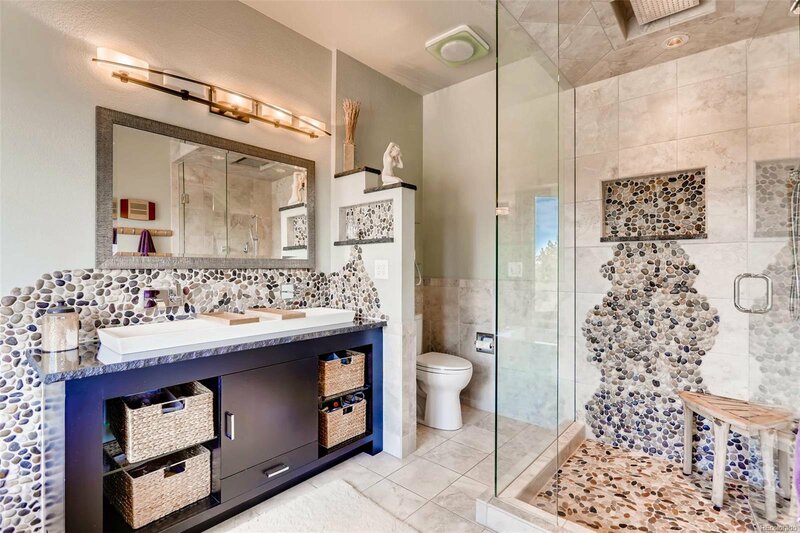 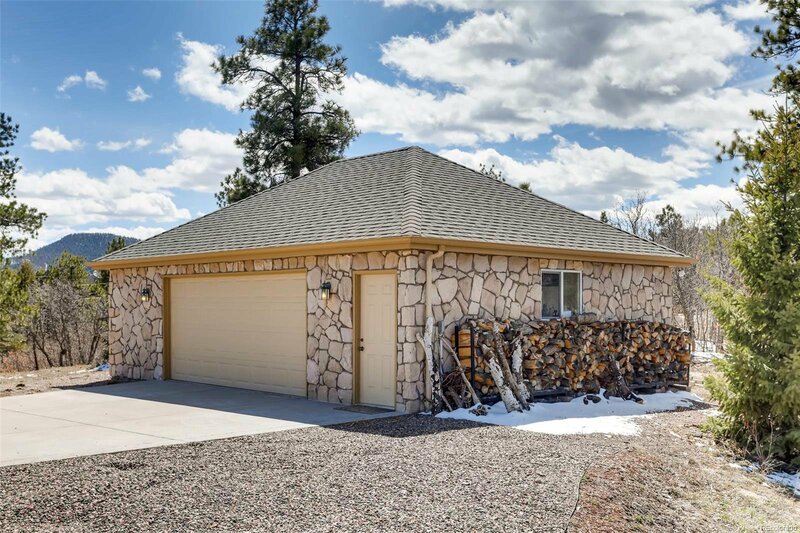 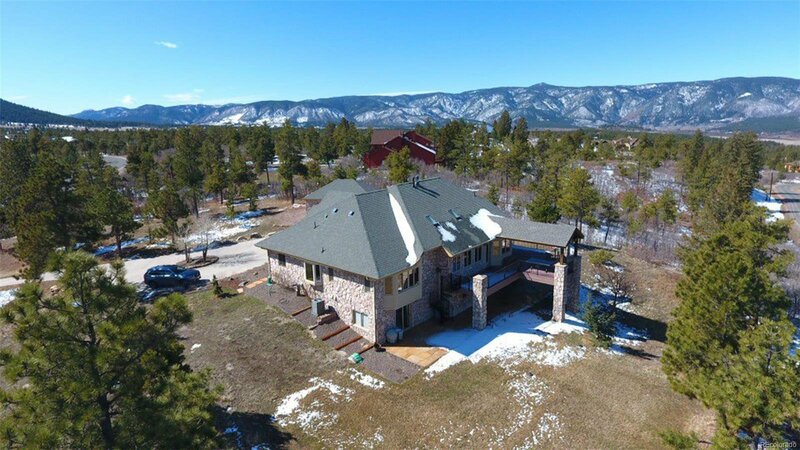 Some of the recent updates include a new exterior deck off of the main level, a fully remodeled 5-piece master bath with a modern soaking tub and river rock shower, an updated kitchen with quartz counters, stainless steel appliances, custom cabinets and so much more. 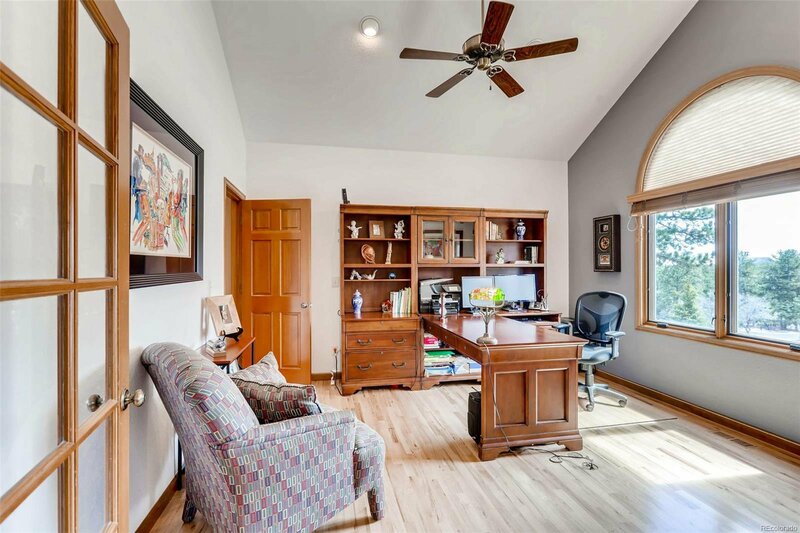 The secondary detached garage makes a perfect workshop or storage area for all of your toys. 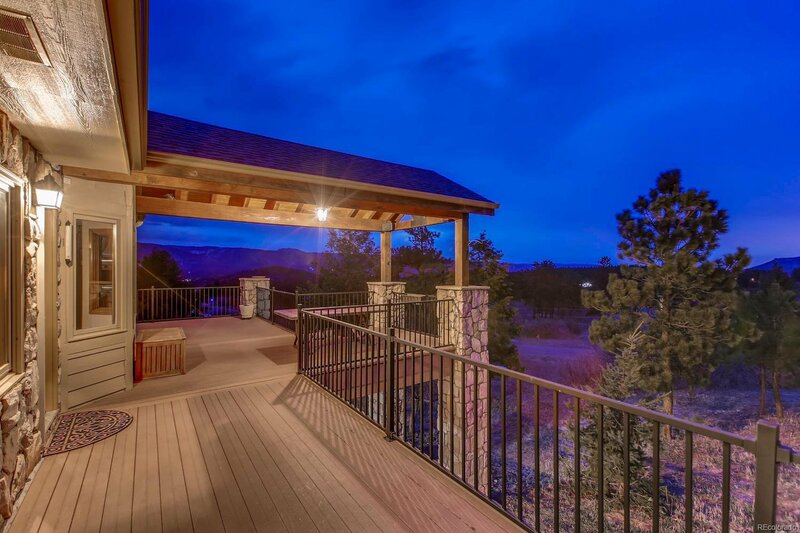 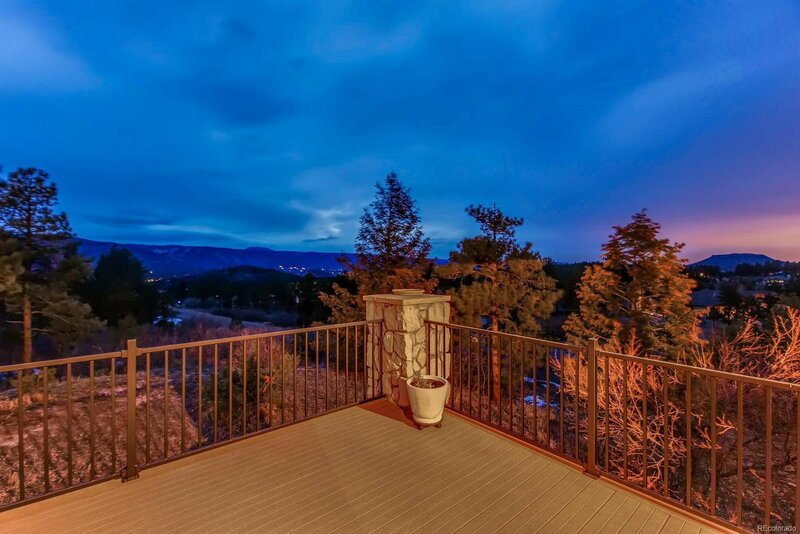 Enjoy living in the foothills away from the world while only being a few minute drive to the quaint town of Larkspur.